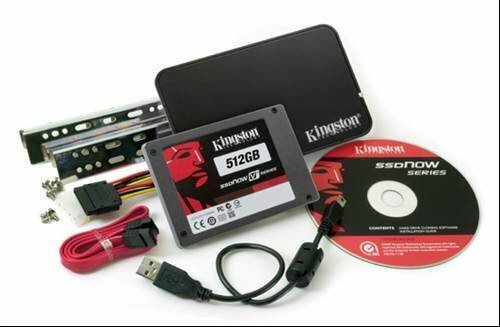 The Kingston Tehnology SSDNow kit includes a Sata II solid state disk, 2.5 inch to 3.5 inch PC chassis adapter, a Acronis disk imaging software for making a copy of the PC's existing boot disk, plus a 2.5 inch drive enclosure with a mini USB adapter. Solid atate disks (SSD) offer an easy, and relatively inexpensive means of boosting the performance of an older PC. The SSD behaves like a standard hard disk, but it uses memory chips instead of hard disc platters, so it is significantly faster, quieter and more reliable.. In Windows, if the operating system and paged memory are migrated onto the SSD, the PC's performance should increase significantly. It is possible to run several operating systems, like Ubuntu and Windsows 7 using separate partitions on the SSD. You will then use a boot manager, like the one that installs in Windows, to select which operating system launches.